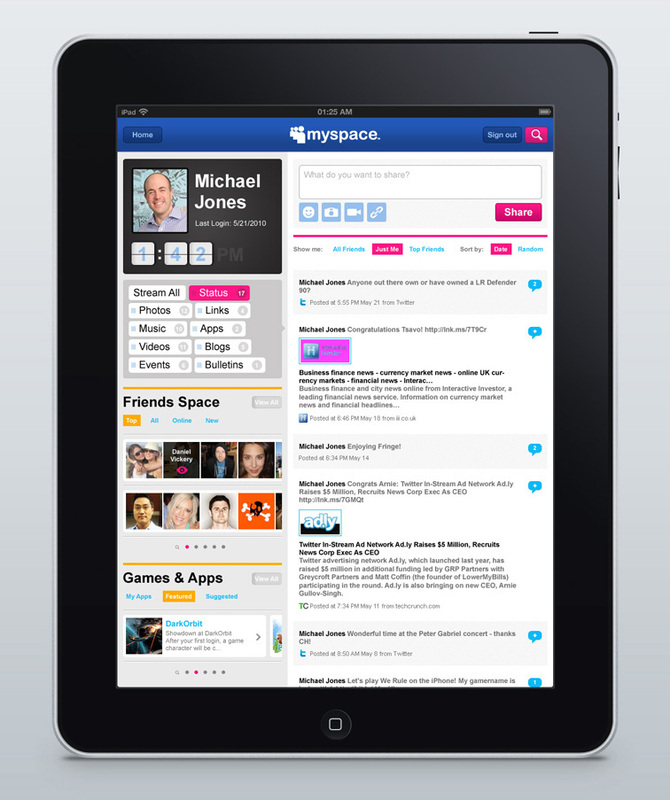 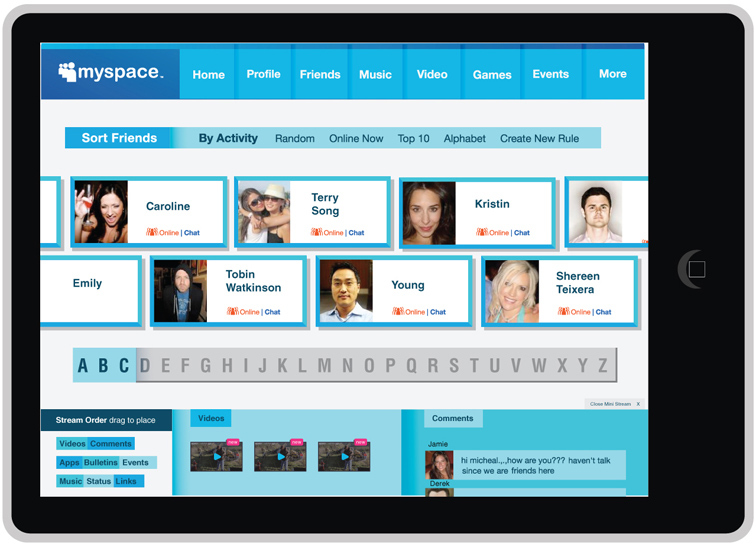 JESS3 provided MySpace with an in-depth exploration of the possibilities for the social networking service's iPad application offerings. 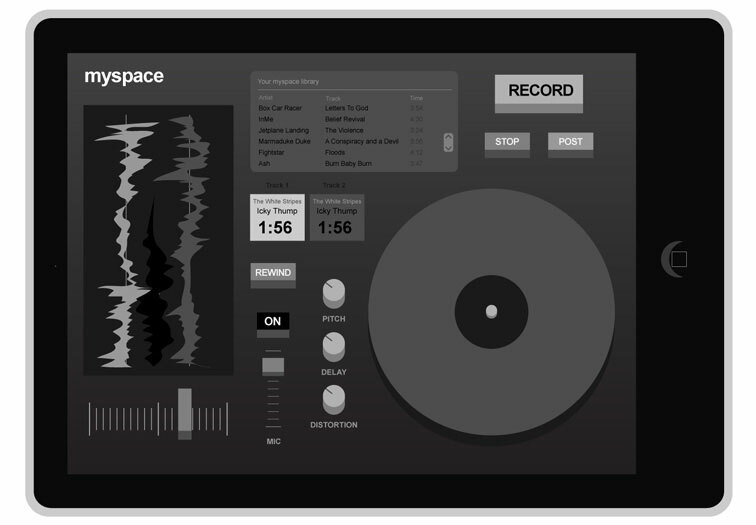 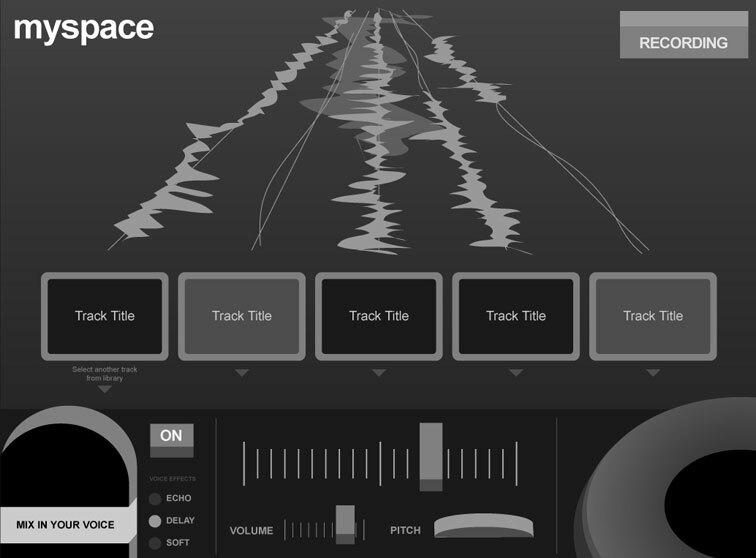 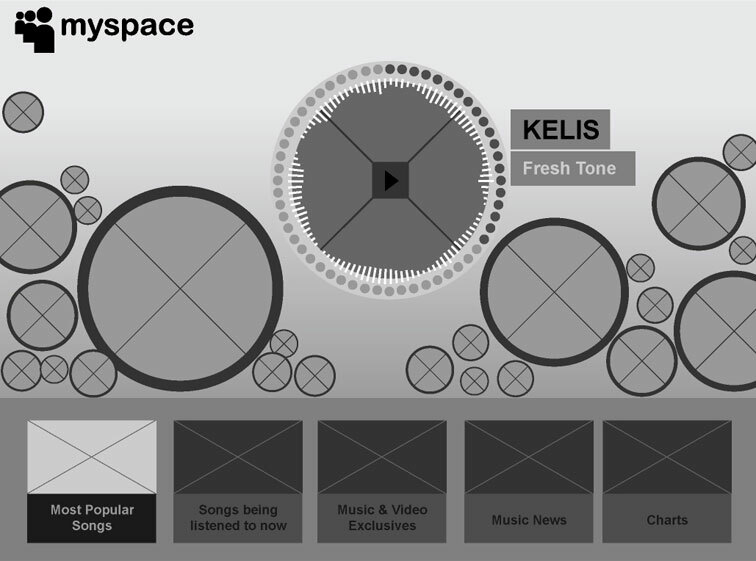 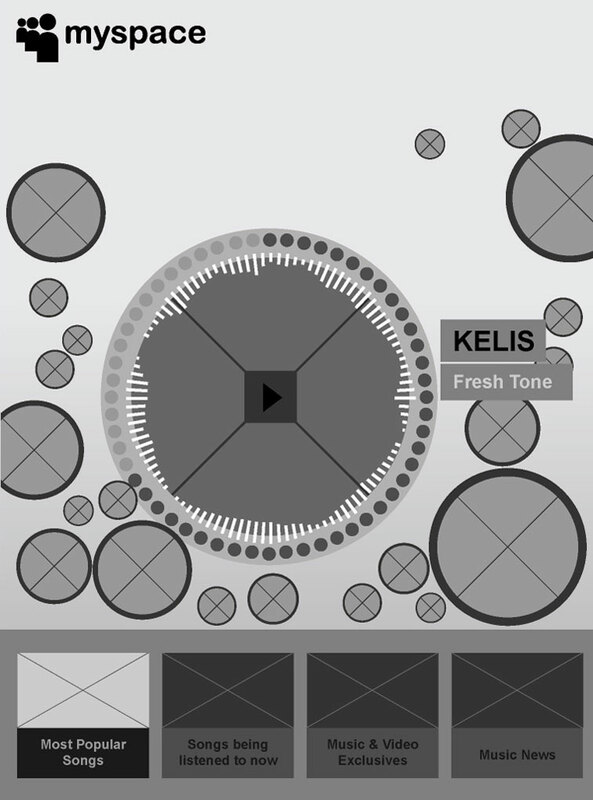 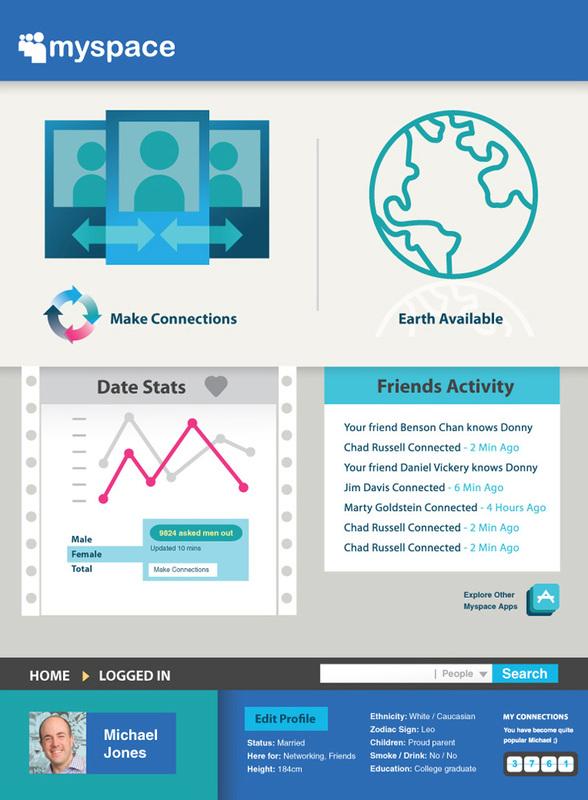 The explorations included touch-capable profile views, a deeply interactive MySpace Music app which aimed to enable users to see videos of their favorite bands and a turn-table layout which resembles a spinning record that displayed a selection of popular content when the record was spun. 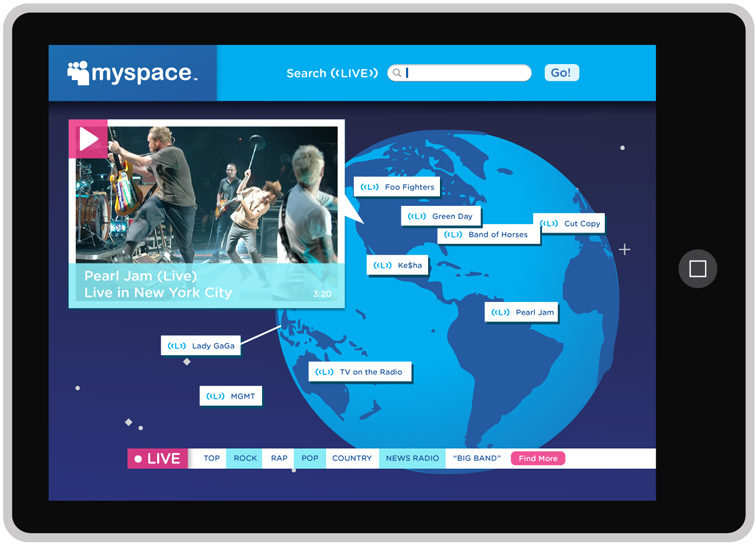 Other explorations played on the concept of customizing and recording songs in real time, as well as a dating app that brought together the best of a flipbook-meets-hot-or-not all utilizing publicly available MySpace profile data and information.